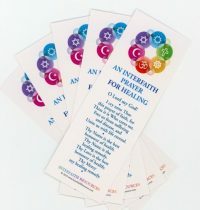 This art print/pamphlet is directed specifically towards nurses and other healing professionals, but is also a great gift for anyone in need of healing attention. The front is a full-color calligraphy design in bright watercolor washes. 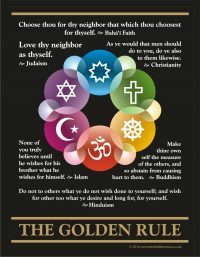 In addition to four short quotations from the Writings about healing, it includes the short healing prayer at the bottom. 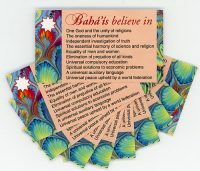 The back is a short pamphlet about some Bahá’í ideas that relate to health, centered around the importance of treating the soul, mind and body together.